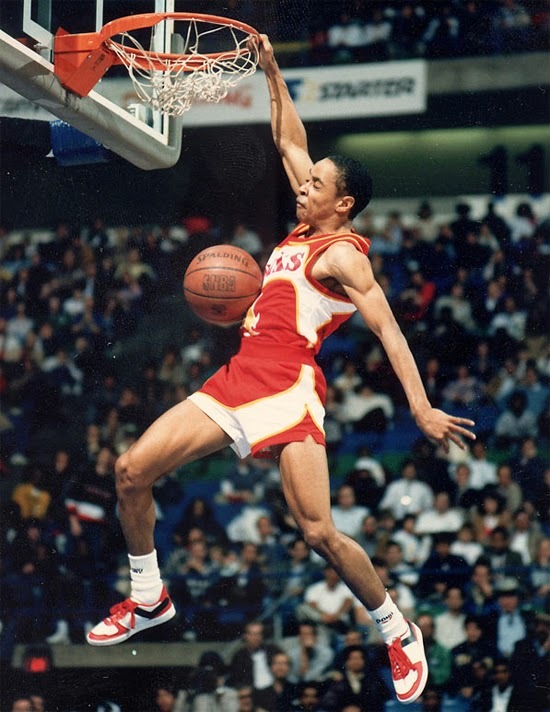 Spud Webb, the shortest NBA Slam Dunk Champ shows he still can dunk at age 50. Spud Webb is notoriously known for being one of the shortest NBA players in history. That’s why his iconic Slam Dunk Contest victory over 25 years ago made him one of the league’s favorite NBA basketball players to watch. Standing only 5 foot & 7inches,Webb could damn near jump out of the gym.